Your Prospect Has 3 Brains. Which One Are You Selling To? As salespeople, we’ve all asked this question at one time or another in our careers. We’re pitching our product to a prospect and it seems like such an obvious, no-brainer decision for them to say yes and agree to the sale. For some reason, though, they resist. Maybe they can’t make up their mind. Or perhaps they can’t seem to focus on how your solution’s benefits solve their problem. They might be attracted to an irrelevant feature on a competitor’s inferior product. No matter what path you take, you can’t seem to crack the prospect. You can’t understand their analysis or their decision-making process. All you can do is sit back and wonder: What exactly is happening in their brain? I’ve recently been working with SalesBrain and I’ve found their research to be very powerful. 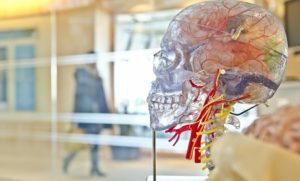 They’re taking a scientific look at the brain from a sales perspective, so salespeople can better understand how buyers make decisions. At the core of their work is the fact that humans actually have three brains. That’s right. You, me, and everyone we know has not one, but rather three brains. Of course, these three brains all join together to form the common brain outline and shape that we’re all familiar with. It’s important to understand the three-brain idea and what functions each brain serves. When you know how the brain works, you can alter your approach to help your buyers reach the right decision. Here is a four-step sales process to guide you through the brain’s decision making process, so that you can take your game to a new level..
First, though, let’s talk about the three brains and how they work together. As mentioned, your brain actually consists of three different brains. Each brain serves a specific function and plays a role in the buying decision. However, not all forms of communication appeal to all parts of the brain. To get a firm decision in your favor, you have to speak to each brain in the language it understands best. The New Brain, scientifically known as the neocortex, governs our ability to learn new information, expand our thinking, and evolves over time. The fact that it’s primarily limited to primates shouldn’t be surprising. When you’re speaking to the New Brain, you want to use the language of rational data. You’re educating and you’re backing that education up with facts and data. The New Brain wants to learn and it wants to make a decision based on hard evidence. Also known as the “limbic” brain, the Middle Brain, is responsible for feeling and emotions. It stores memories and the feelings that you experienced in those memories. If you ever made a decision that produced either positive or negative feelings, the Middle Brain archives those feelings and shares them with the other parts of the brain whenever you face a similar decision. Unsurprisingly, to speak to the Middle Brain, you should be talking about feelings and emotion. buy Lyrica online ireland i thought about this How does the buyer’s current situation impact their life? How would their life be better if they took a different course of action? What kind of stress is being caused by their current challenges? The Middle Brain grasps onto this kind of conversation. Finally, the reptilian brain is at the base of the three brains. It’s the oldest part of the brain, shared all the way back with our reptilian evolutionary ancestors. It is the decider in the brain. It takes information from the other two areas and then uses that information to make a decision. How does the reptilian brain decide. It asks the simple question, “What’s in it for me?” The reptilian brain is ultimately self-motivated. Think about one of the most famous reptiles – the alligator. It operates completely out of self-interest, eating anything that will fill its belly. Your prospects’ reptilian brains are more evolved than the alligator’s because it takes guidance from the other two brains. However, the thinking is still the same. It’s driven by self-interest. Now that you understand the three brains that influence the buying decision, the next logical question is how do you appeal to all three levels. Step #1: Diagnose the pain. Remember, the reptilian brain is self-motivated, but it’s also influenced by the emotions of the Middle Brain. In the first step, you uncover and identify the pain that is caused by the current situation. What is the ultimate, underlying need driving the potential buying decision? Obviously, this requires a lot of fact-finding and probing. Many salespeople fail because they skip this step. They go straight into selling, completely missing out on a conversation with the middle brain. Start with their needs before you sell your product. Step #2: Differentiate your claim. You’ve identified the need and the negative feelings associated with that need, but you also have to contrast it with a better outcome. You need to give the Middle Brain positive feelings to work with. In this step, you highlight the benefits of your solution and you show how those benefits will drive more positive feelings. Again, you’re speaking to the Middle Brain, but in a positive way. Let the Middle Brain feel the positive outcome. Step #3: Demonstrate your gain. Remember, though, the reptilian brain doesn’t just take guidance from the Middle Brain. You also need to speak to the New Brain, and the New Brain wants proof. After you’ve identified the need and presented the positive outcome, the next step is to prove how you can make the positive outcome a reality. This is the time to pull out case studies, facts, figures, testimonials, and other data-backed proof. The Middle Brain feels that your solution is the right option. Now you need the New Brain to validate the decision. Step #4: Deliver to the reptilian brain. The final step is to deliver your closing pitch to the reptilian brain. It should be a message that mixes feeling with data. And it should contrast the before and after of the prospect’s dilemma. Clearly articulate the feelings and outcomes they’re experiencing now and those that will change with your solution. If you can close with feeling and proof, you’ll be echoing the sentiments the reptilian brain is receiving from the other two brains. That will help seal the deal and encourage the reptilian brain to reach a quick decision. Granted, this may at first glance seem a bit technical. However, it’s the process that your prospect is mentally working through, whether they know it or not. If you can understand their thought process, you can guide them toward the best decision. Ready to rethink your sales process? Let’s talk about it. I’ve been coaching and leading sales and management professionals to elevated levels of success for more than 30 years. Let’s connect soon and get you on track for a great start to 2017. Judy has more than 30 years experience in helping sales organizations and salespeople focus their energy and accelerate their success. She's passionate about helping others tap into their internal points of power and reaching a new level of achievement. © Copyright - Vortexology - Elevating the human spirit, inspiring change in personal & business life. 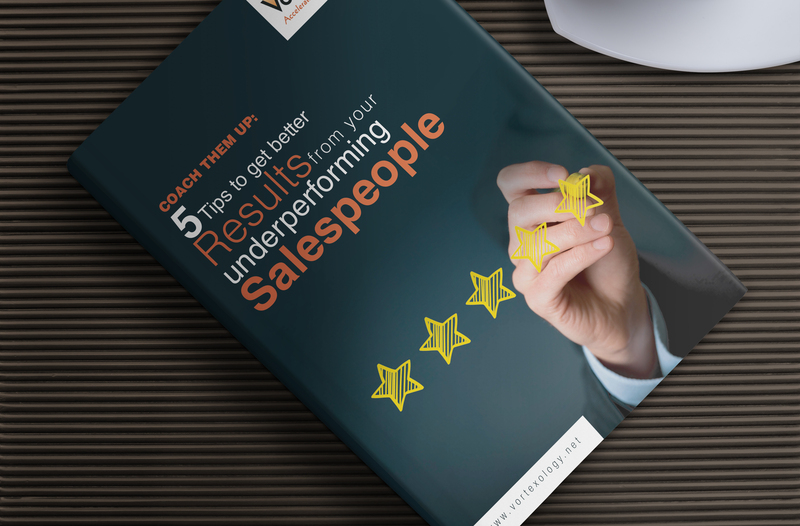 Are your sales reps underperforming? Download this free guide with my 5 most powerful tips for getting better results from your team. Vortexology is a sales performance, sales management and business coaching, training, and consulting company that creates high performance, results-focused, winning teams. Based in the San Francisco Bay Area with clients nationwide.